The amount of water being saved by San Diegans and other California residents declined again in January, continuing a trend that began in the fall, state water officials reported Thursday. SAN DIEGO (CNS) - The amount of water being saved by San Diegans and other California residents declined again in January, continuing a trend that began in the fall, state water officials reported Thursday. Most of the water agencies in San Diego County missed their monthly conservation targets last month, according to the data. Statewide, water customers reduced their use by 17.1 percent in January, compared to the same month in 2013 -- the state standard. The cumulative savings across the state since June was 24.8 percent, below Gov. Jerry Brown's goal of 25 percent. 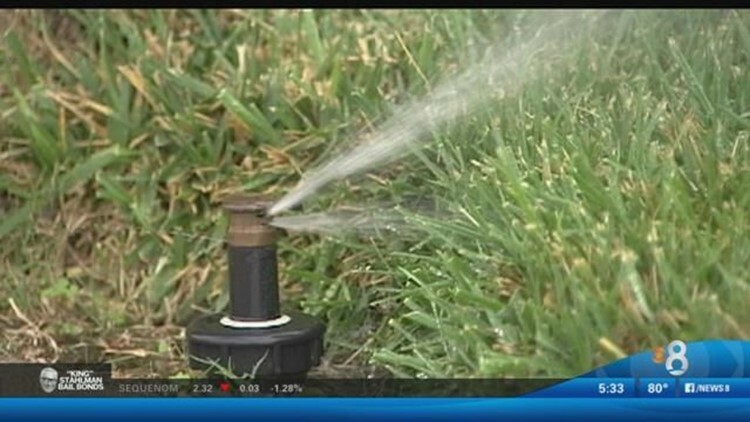 State water officials concede that opportunities to conserve water dry up during the fall and winter, particularly when it rains, because people don't have to irrigate their lawns or water their flowers. However, temperatures have been warmer than usual and El Nino-spawned rains have been sporadic at best. "We're hoping for every raindrop and every snowflake we can handle. We're hoping for a miracle March and an awesome April," said State Water Resources Control Board Chairwoman Felicia Marcus. "But we can't know what the next couple months will bring. And a warm and dry February has proved that we can't count on El Nino to save us," Marcus said. "Californians have risen to the occasion as never before. But we have to stay the course. We have to keep it up." The cumulative figures are better in San Diego County, where the savings rates of most water districts are running ahead of their goals. The largest local water supplier, the city of San Diego, saved 11.7 percent in January, short of its target of 16 percent. Since last June, however, the savings rate is 20 percent. -- California-American Water Company San Diego, 8 percent and 26 percent. -- Fallbrook Public Utility District, 36 percent and 26 percent.